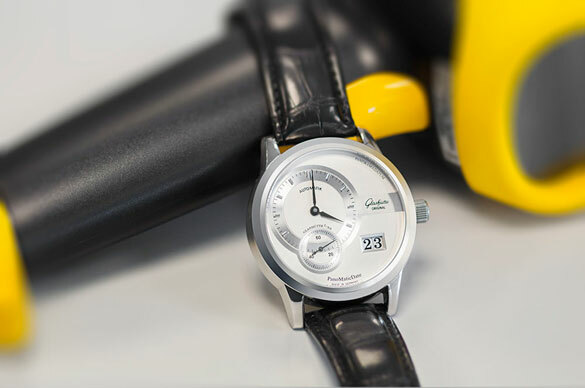 Watch Servicing | Watchfinder & Co.
Every owner of a luxury watch knows that it is more than just a timepiece. It is a complex, fascinating and superbly engineered mechanism that will live on to be passed down through the generations. Keeping a watch at its best over the years is not easy, and sometimes the expert hand of a fully trained watchmaker is required to rejuvenate the original lustre and performance. Bringing a watch back to its former glory is not a process; it is an art, mastered only by those who dedicate themselves to perfecting the fine nuances that make a premium watch what it is. This is the journey a watch takes with Time Services to return to its best. Time Services is separated into four departments, each with very different responsibilities. A watch that is serviced and refinished will pass through each department. The administration department manages the flow of watches through the service centre. They make sure the watchmakers and technicians are working on the right watches and that everything runs smoothly. With over 600 watches passing through Time Services every month, the management and tracking of each watch is paramount, so high-tech scanning systems are used to make sure mistakes aren’t possible. Having been received by the administration team, every watch is sent to the testing department where the scale of the work is established. Watches are always tested against the benchmark of the manufacturer’s original specifications. There are two principle aspects to the diagnostics procedure. Firstly, the physical condition of the watch will be examined under magnification. A report will be filed summarising the condition of the case, the strap and its ancillaries, the glass, the crown and any other external features. The operation of the watch will also be investigated at this stage, and every observation is recorded. Secondly, the health of the movement will be assessed. For mechanical watches, this involves the movement being tested in six different positions, plus a test of the power reserve. For quartz watches, the rate of battery consumption and accuracy are measured. The water resistance of all watches is established. Having progressed through the testing phase, a report will then be attached to the watch, stipulating the work required. The next step in the journey is the case shop, where the original manufacturer finish is restored. 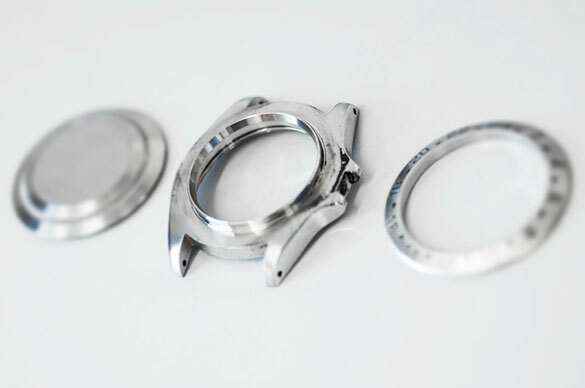 Once the watch has been disassembled, the technicians will use a range of machinery and compounds to carefully remove all surface marks and return the finish to its original condition. The refinished parts are cleaned in an ultrasonic cleaning tank, and a final clean with a steam cleaner ensures removal of any debris before the parts are dried in an oven. The refinished watch moves on the workshop for servicing of the movement. Work on the movement happens last to prevent any disruption to the timing after the servicing is completed. The workshop is where our watchmakers service the beating heart of every watch to ensure that it will continue to work smoothly and accurately for many more years. The administrators send the watch into the workshop along with the initial testing report, which is reviewed by the watchmakers. 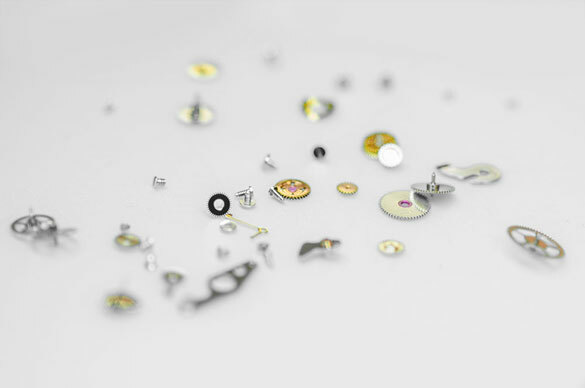 The movement is then carefully disassembled, the watchmaker inspecting each component for wear, debris and lubrication. Necessary replacement parts are ordered if they aren't in stock. Once the movement is fully disassembled, the parts are carefully placed into the movement cleaning machine, an ultrasonic bath that also rinses and dries. After the components have been cleaned and dried, they are returned to the watchmaker’s bench - along with any new parts - for final component inspection and reassembly. The reassembled movement is then regulated and tested on the bench until it meets manufacturer standards. It is then re-cased and a final bench test is completed, including a physical test of all functionality. The completed watch then moves to quality control. Quality control is the most important part of the servicing process as it is the last stage before being returned to the customer or being made ready for sale. 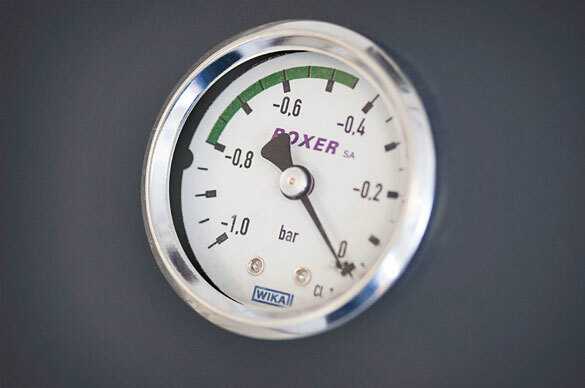 The first stage of quality control is a similar process to the initial testing. The results will be compared to the original report and to manufacturer standards, ensuring that performance is well within operational parameters. This includes timing, water resistance and operation. 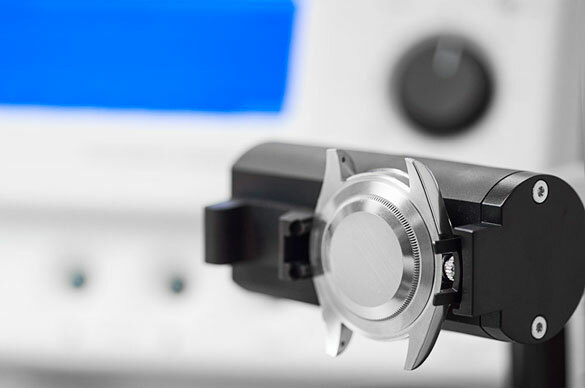 The physical condition of the watch is also checked under magnification. As a further, final check, the watches are carefully examined by the dispatch team. Any issues during the quality control stage are flagged and resolved immediately.